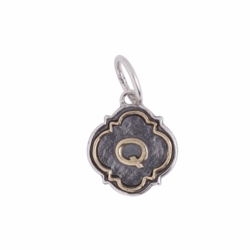 An architecturally and symbolically based quatrefoil shape holds a powerfully simple and strong sans serif style brass initial. 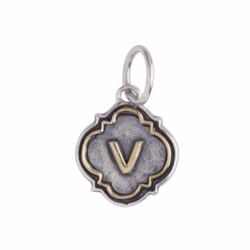 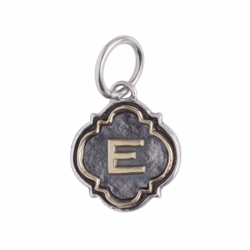 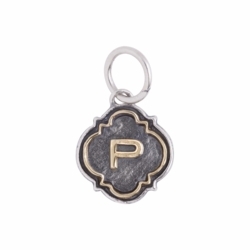 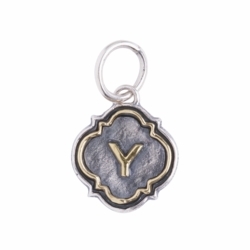 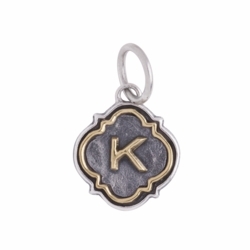 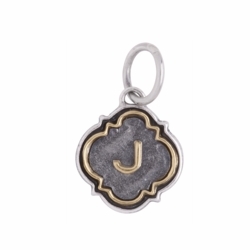 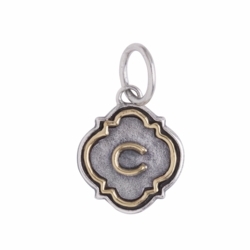 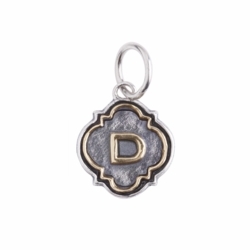 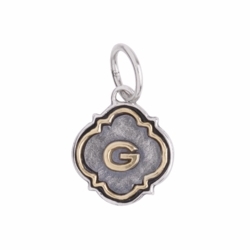 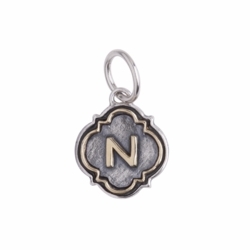 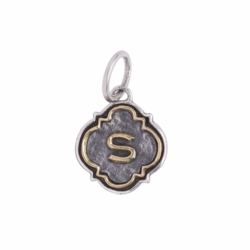 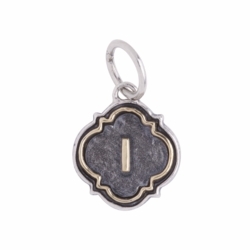 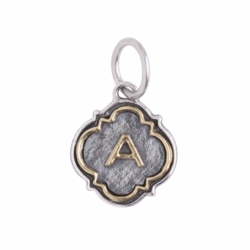 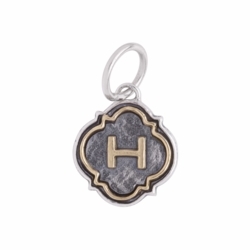 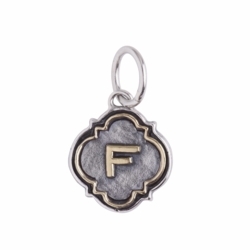 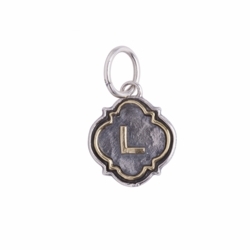 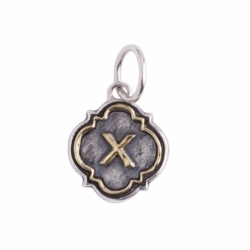 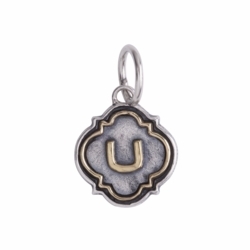 Etched silver and carved brass framework honor each letter like a tiny altar. Materials: Sterling Silver & Brass.